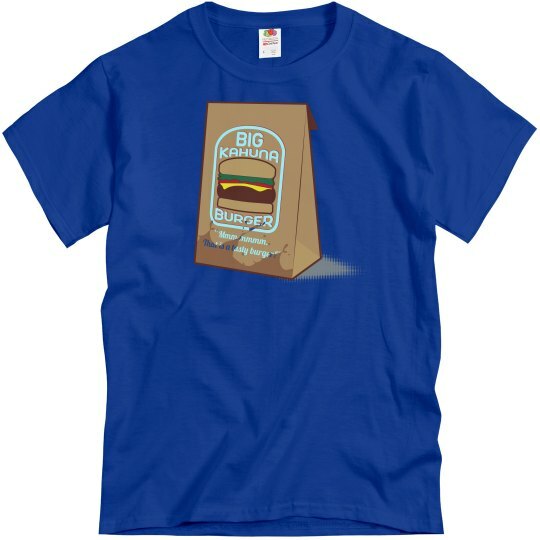 The finest burgers in town come from Big Kahuna Burger. Now that's a tasty burger. speaking of burgers, you know what the call the quarter pounder with cheese in Paris? The Royale with cheese.